Leave a Comment on KuCoin (KCS), Huobi (HT) and Others Pumped Bitcoin (BTC)? Apparently, cryptoexchanges recognized the superiority of Binance, and only able to repeat its findings. Having launched their own platforms for IEO on the model of Binance, KuCoin and Huobi now exactly copy the format of the tokensale – a lottery with exchange’s tokens frozen. It already looks undignified and indecent. But their own ideas to the owners of the exchanges is clearly not enough. After the first IEO trial, both Huobi and KuCoin ran into the same problems as Binance much earlier. Tokensales passed with lightning speed, and the majority of investors were overboard. And they didn’t like it, of course. Without thinking twice, Huobi and KuCoin turned to the approved practice – approved by Binance. True, the imitators also tightened the conditions for participation in the lottery for the right to buy a new token. Huobi requires that at least 500 of her HT tokens be stored on the account for at least 30 days. Given that the next IEO is announced for April 16, this condition cannot be fulfilled. But for the money – it can be. Rather, for tokens. Of course, it is necessary to triple the amount – and keep 1500 HT for 10 days (if you don’t hold 500 HT or more for 30 days but hold at least 1,500 HT ten days before the launch date (Apr 6, 00:00:00 to Apr 15, 23:59:59), you will still be qualified. HT holding is determined through random snapshot daily). 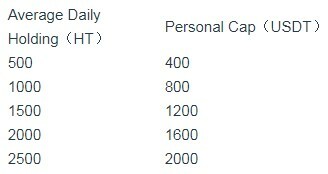 In addition, the personal cap also depends on the amount on the account. The maximum cap (2000 USDT) is available to user holding 2500 HT. At the same time information about the new project is not reported. Such unprecedented greed and cunning are unlikely to be accepted by investors. This can be perceived as a new insult, after the first IEO TOP Network. Then the TOP token in the amount of 1.5 billion went to 3764 participants. And there were 130 thousand willing users. 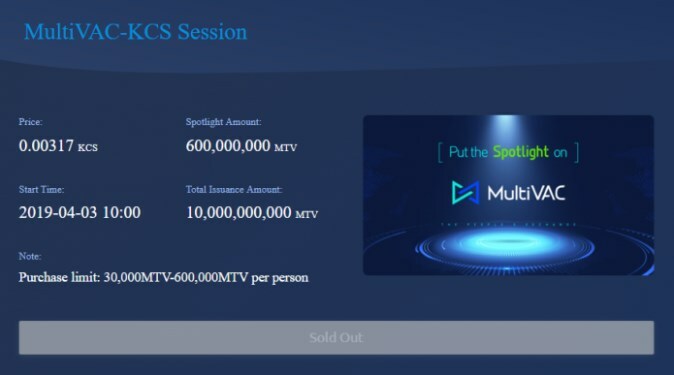 On the KuCoin Spotlight the first was MultiVAC (MTV) – a well-known project with a great hype. Not surprisingly, the sale ended in 7 seconds. 1 million 902 thousand KCS (about $ 3.44 M) were sold to 1661 users. Most of the participants were again out of work and offended. 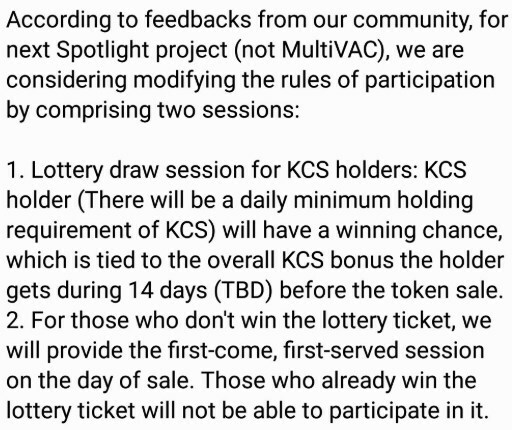 In addition, CEO Michael Gan acknowledged that some of those who managed to purchase, withdraw their KCS tokens before completion of the transaction. 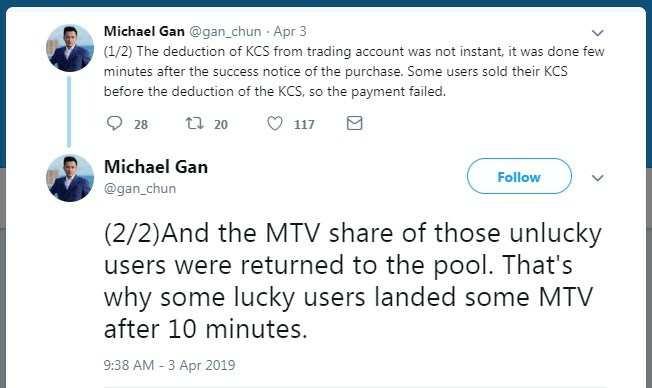 Therefore, MTV returned to the pool and were sold again. In general, a complete mess. Not surprisingly, KuCoin immediately suggested a proven method for the next IEO. True, the requirements are not so tough – the KCS tokens on users’ accounts are frozen for only 2 weeks. Bittrex Exchange went the same way. 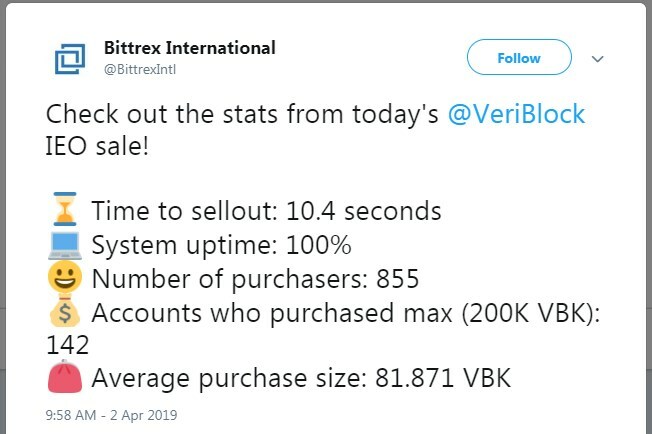 The VeriBlock project received $ 7 million from 855 investors in 10.4 seconds. The community states that tokensale lasted only 2 seconds. Maybe exchanges did that? ..
Obviously, following other people’s patterns is a dead end road. This means forever closing the path to leadership. So the massive transition of exchanges to Binance templates is a temporary measure. Cunning Leon Li, Michael Gan and Bill Shihara will surely come up with something of their own. By the way, a version has already appeared in the community that there are exchanges that puped Bitcoin, in order to stop the growth of Binance Coin. Indeed, at the general joyful party, BNB showed a minimal growth, from $ 17.87 to $ 18.85, only 5%. While Bitcoin and its forks had risen up by 20-50%. The price of BNB in bitcoins dramatically dropped from 0, 0043 BTC to 0.0036 BTC – by 16%! And the growth of the token, which previously showed a threatening dynamic, really stopped. True, this did not prevent the BNB from remaining on the 7th place by capitalization. But another, quite workable version of the mysterious pump – appeared!